Note: This is part 1 in a three-part series that covers which landing page styles are converting for direct response advertisers on the most popular Native networks. 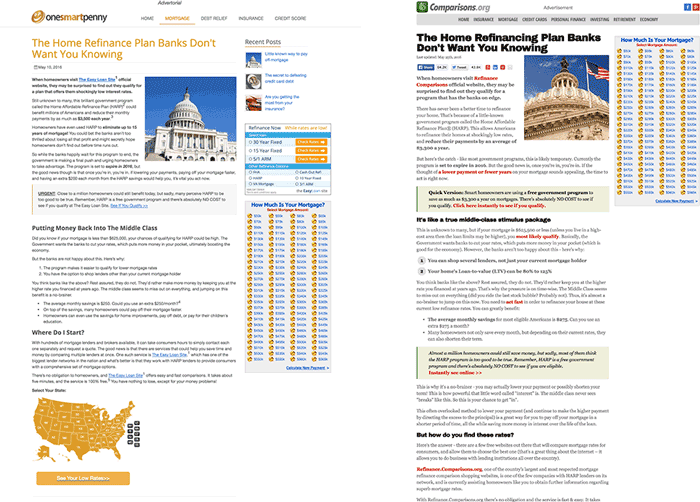 This post covers landing pages that currently work on Taboola. Part 2 (Revcontent) and part 3 (Outbrain) will be published in the upcoming weeks. Have you tested running traffic on Taboola? If you haven’t, then you’re really missing out. Some of the largest direct response advertisers spend upwards of $100k/month on Taboola alone. Taboola reaches over one billion unique visitors monthly, and they recently acquired ConvertMedia, a native video advertising company. However, those who have tested Taboola traffic know that it works a bit differently than Google AdWords. You need to test a lot of headlines and pictures so your CTR doesn’t drop below a certain point. You also need to test a variety of landing pages that you might not think of using on “traditional” ad networks like Google AdWords. Today we’re going to look at the landing pages that some of these million-dollar direct response advertisers use on other advertisers with Taboola. You’ll see many of the classic styles, a few new ones, and a few takes on some of the older ones. If you’ve ever thought about running traffic on Native (and especially on Taboola), then you won’t want to miss this post. You’ve probably heard of the advertorial. 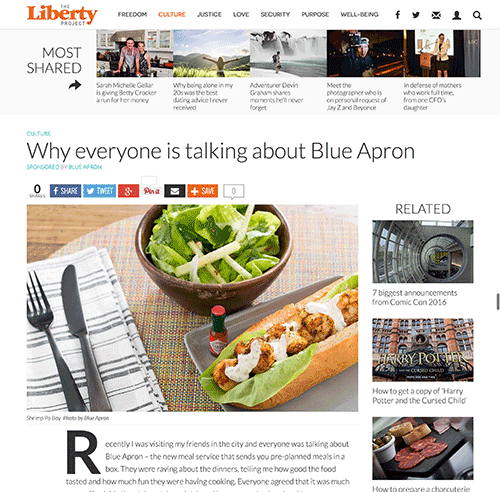 An advertorial is a landing page that’s designed to look like an organic news story. 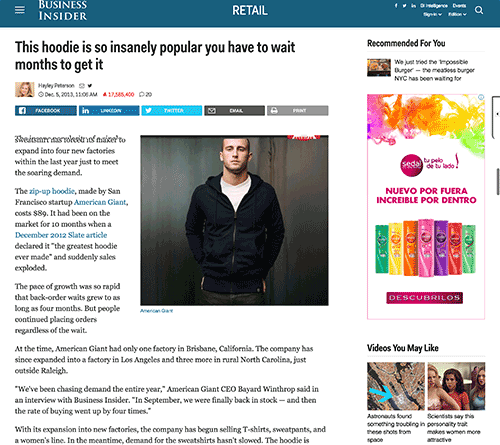 Difference #1: Most advertorials that are successful on Taboola are designed to look like news articles. Blogvertorials are designed to look like organic blog posts. They are also often written in a traditional blog format, such as a “listicle” (list of tips/tricks) or a testimonial review. Difference #2: Most Taboola advertisers host their advertorials on a domain that is separate from their main site. 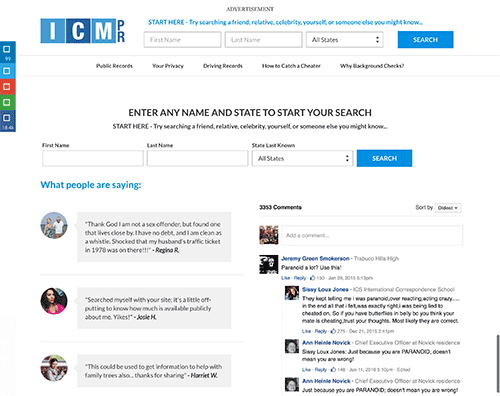 Almost all blogvertorials are shown on the main domain. (One thing to keep in mind is that many advertorials are affiliates doing lead generation for another company). Adbeat estimates that Hello Fresh has spent over $599.2K on Taboola over the previous six months. Most of that traffic was sent to blogvertorial landing pages. 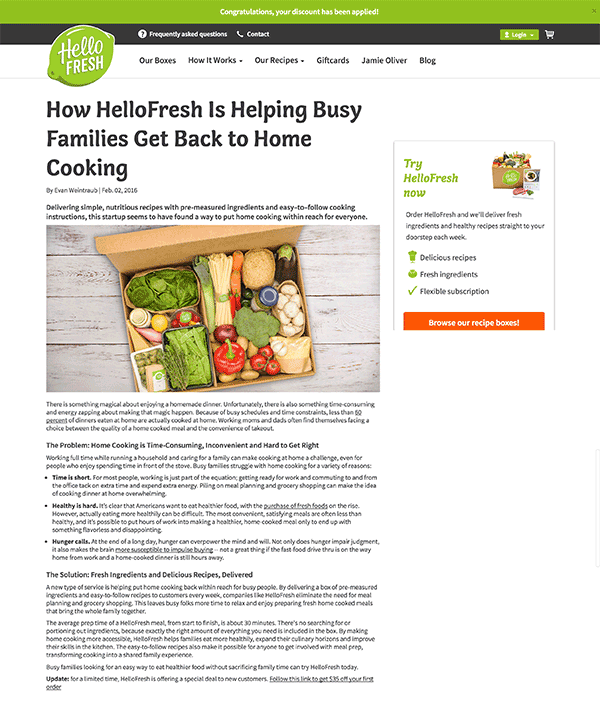 This likely means that this style of landing page is working well for Hello Fresh. The advertorial is still alive and well in 2016. 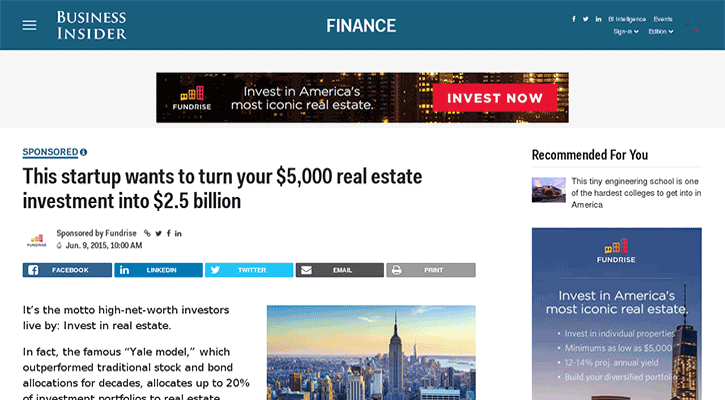 Many Native advertisers who do lead generation for mortgage financing, credit card debt products, or auto insurance have success with advertorials on Taboola. You’ll often see that many advertisers in related markets tend to use advertorials that are quite similar. Both of these pages have a very comparable feel. They both also include a very similar “How Much Is Your Mortgage” box in the right-hand sidebar. One thing to keep in mind is that the FTC is getting stricter about what they’ll allow advertisers to design regarding their advertorials. This means that Taboola and many other networks might change their terms of service to prohibit advertisers from using certain claims, designs, and properly label their advertorials. In other words, what’s allowed today might not be allowed tomorrow. Back around 2013-2014, the word “pre-sell” found its way back to the internet marketing lexicon. It became quite popular to send traffic to pages that pre-sold a prospect to click through a longer sales page. Pre-sell pages that look like the one above are less prevalent but are still around on Taboola. They even work for advertisers in the same markets. Both of these pages send prospects to a long form sales letter. The pre-sell page, advertorial, and blogvertorial are all very similar in style and function. They work so well because they all pre-sell the message while triggering fewer “I’m-Being-Sold-To” alarms. The video sales letter (VSL) is about as classic of a landing page as you can get. However, we’re seeing fewer and fewer large advertisers using VSLs on Taboola. 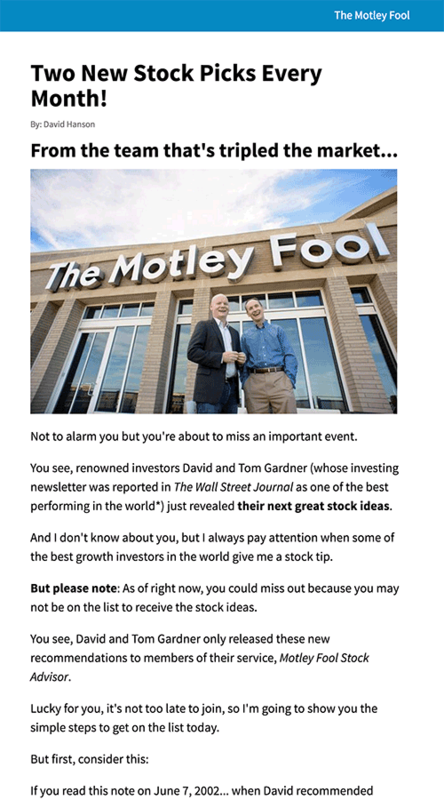 Some of the larger direct response advertisers like The Motley Fool, large supplement companies, and Agora subsidiaries are still seeing amazing results with them, though. You’ll notice that most successful VSLs on Taboola use a combination of live action video and PowerPoint slides. It seems like having a 100% PowerPoint slide VSL is less effective on Display than it has been in the past. Something else that’s pretty smart–but very few advertisers are testing–is the pre-sell VSL. 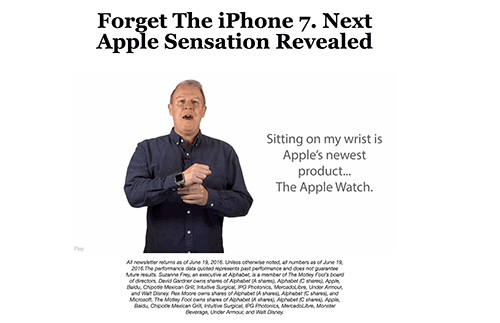 This is simply a short video on a pre-sell page with text that tries to convince the user to click through and watch an even longer VSL. 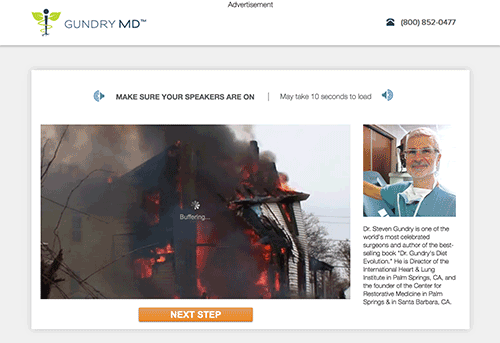 Here is an example: This direct response advertiser sends traffic to a pre-sell VSL. 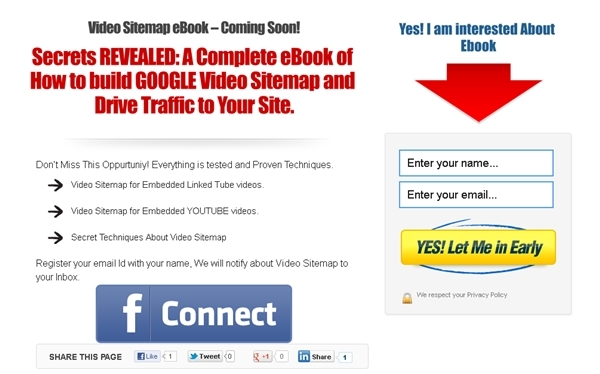 There are links on the page that lead that traffic to an even longer VSL. 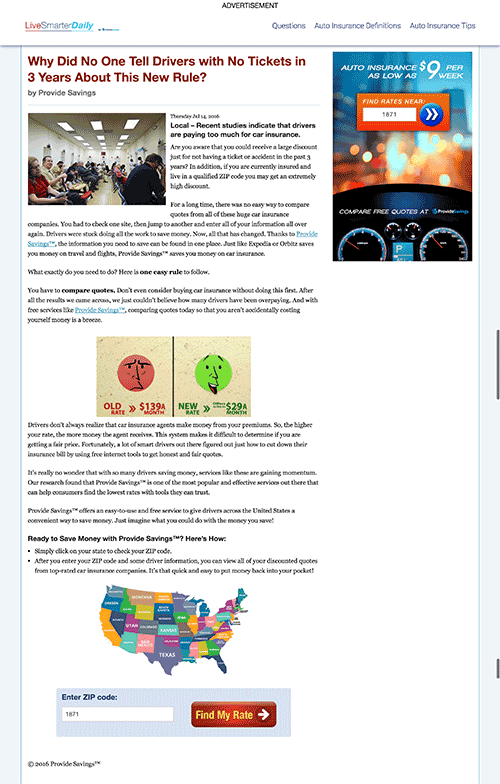 The Sponsored Blogvertorial is the exact same thing as the traditional blogvertorial, only the advertiser has placed it on a third party website. This provides even more credibility. The downside to these third party pages is that the content and ads might distract the prospect from the content in the blogvertorial. However, it may be worth the trade-off for the credibility it lends to the offer. Have you noticed anything missing from this post? Very few advertisers run traffic to squeeze pages on Display. It’s likely that they aren’t profitable on Native or that most networks have changed their policies and no longer allow squeeze pages. However, the good news is that there is something similar and even more effective. I refer to them as “action opt-in” pages. An action opt-in page is simply a page where users must actually do something instead of just clicking through or entering their email address. 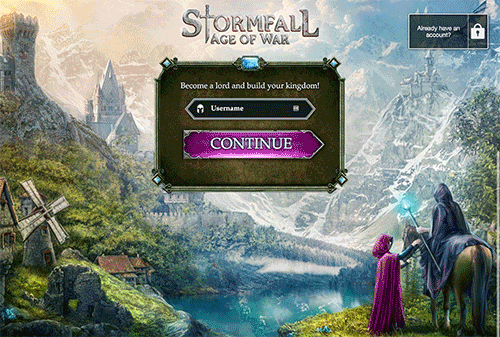 For example, users might be asked to take a quiz. 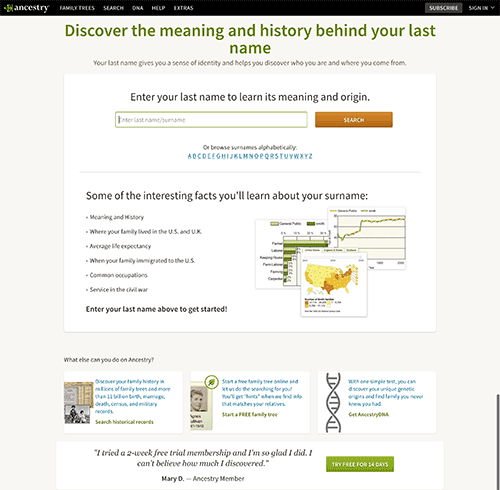 Quiz pages can be considered the latest “fad” in landing pages. However, many advertisers have begun using quizzes for a good reason: they work. Quiz pages allow you to tailor your sales funnel to the specific needs of your prospects. This increases the chances of conversion. Plus, they’ve invested time in taking the quiz or completing an action. This makes it easier for them to tell themselves that they should continue since they’ve already gone so far. Another action opt-in is a “tool” page. 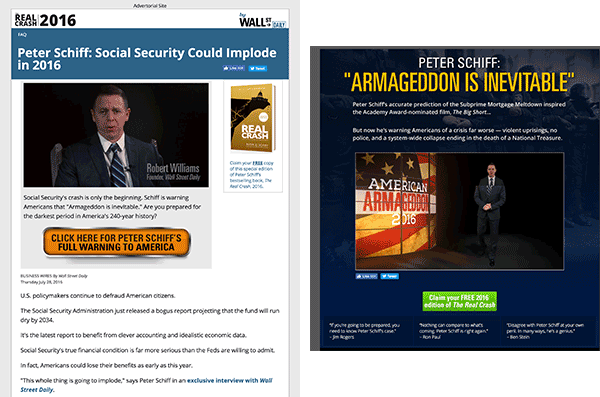 InstantCheckmate has been using variations of this landing page for years on display. It works because it immediately gives people something to do. “Top 10” affiliate review pages have been around forever. Some advertisers continue to use variations of them on Taboola. 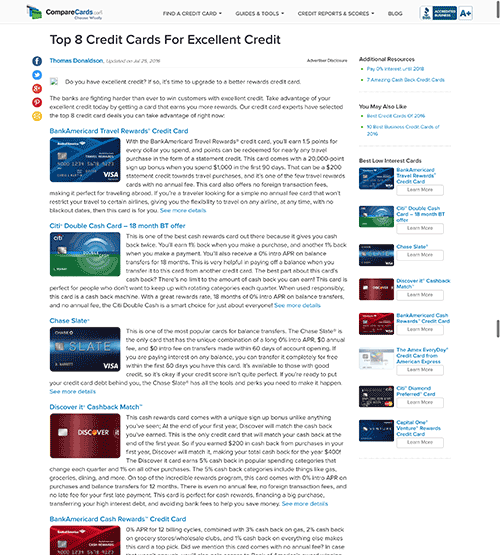 Almost all affiliate review pages are for credit card offers. Affiliate review pages continue to work on Taboola. However, you must have a compelling enough page, and the commission must be high enough to cover advertising costs. This is probably why almost all $1m+ affiliates promote personal finance products on Native. Credit card offers and mortgage lead generation offers usually have excellent payouts. Today, we took a look at the various Taboola landing page styles. Next week, we’ll be revealing the top landing page styles on Outbrain. In the meantime, have you ever run traffic on Taboola? Have you tested out any of these landing page styles? How was your experience? Great article. Can’t wait for the part 2-3.